Fair warning, I will be trying out a new anti-blemish serum after I publish this review, so don't be surprised if you see me talking about another serum just after I swear by this one! If I weren't a beauty blogger I wouldn't be going out to try new serums every time I empty a bottle. 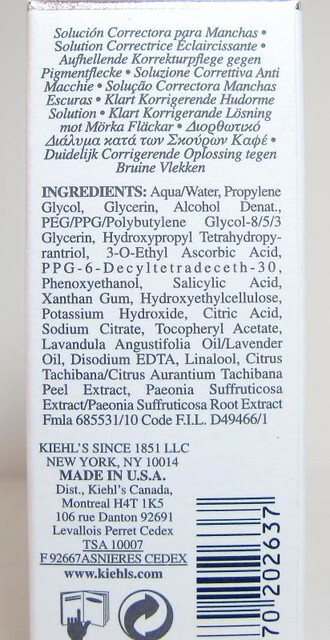 I would have stopped long ago at the Estee Lauder ANR, the Kiehl's Midnight Recovery, then Shu Uemura Tsuya, and now, the Kiehl's Clearly Corrective serum, which are all awesome products by the way. But I am a beauty blogger so I always have something new and interesting to try. Anyway! 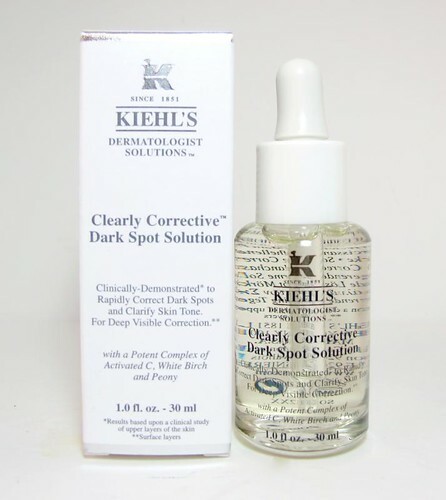 I'm here to talk about the Kiehl's Clearly Corrective Dark Spot Serum (P3,000), which I have been using since late November. It's an awesome product that helped me clear out the last vestiges of my old blemishes and prevents my new ones from darkening overmuch. Yes, this stuff works! For me at least. You'll see a photo. Lightens blemishes with its main active ingredient which is Vitamin C. Now you don't need to put pure lemon juice on your face. 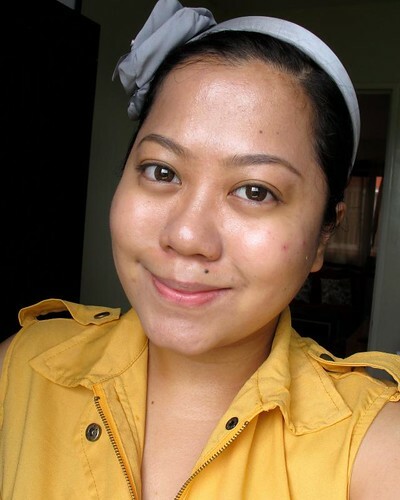 :P Kidding aside this serum does lighten blemishes but it won't happen overnight - it's very gradual. I noticed lightening of my marks in about three to four weeks. Brightens and somehow tightens the face. I noticed that my skin has a smoother, super-fine texture. It's more like a subtly lacquered surface if that makes sense! Helps heal pimples slightly faster because of its salicylic acid content. Texture is watery. Not even gelly, it straight-up feels like water. It will feel a little tacky once applied but when it dries it's like it was never there. 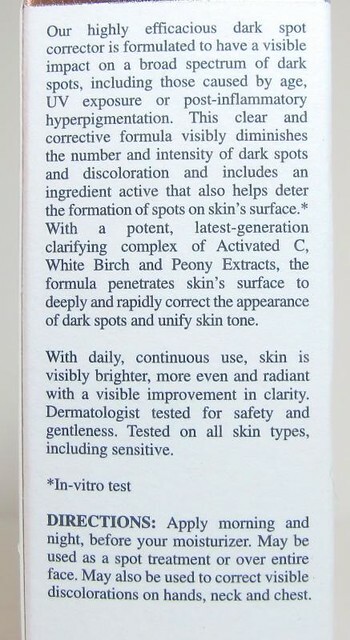 In other words, this serum is perfect under makeup! 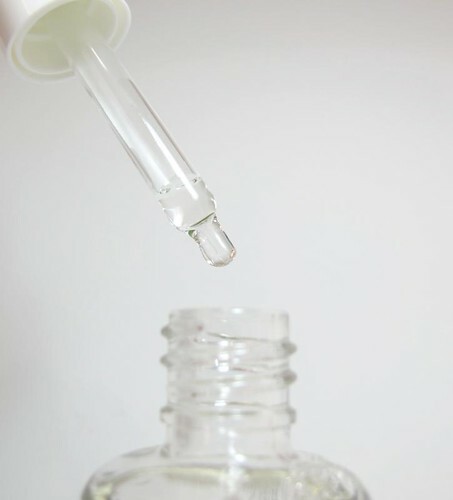 It doesn't prevent oil but it does feel a little like primer; it will hold your makeup together better + won't make you oilier than you are normally (unlike other oily serums). Very economical to use. I only use about 1 cm of product on the dropper; that's actually already a generous amount as in you can slather your whole face with it. Just wearing sunscreen and eyebrow makeup. I have two new pimples (cry) because I used a new shampoo three weeks ago when I took this photo. I still break out before my period and if I'm using something new that's comedogenic to me, but at least the marks aren't as dark or large when the pimples have dried. This can be oddly drying (must be the alcohol and salicylic acid content). It should be followed through with a moisturizer. It smells like a citrusy Pagoda Cold Wave Lotion. It's not an obnoxious smell and I don't mind it, but just want you to know it's there. Tsuya has more of a satin finish than Clearly Corrective, which is like a lacquer; it also instantly brightens because of the built-in purple shimmer. It can also be used without a moisturizer if you're oily, but it would require a more generous amount. Tsuya isn't as economical as CC in terms of cost per wear even if you intend to use a moisturizer afterwards. Both products helped me clear out my blemishes and brighten my skin considerably. :) I started using CC immediately after I ran out of Tsuya and it continued the good work! 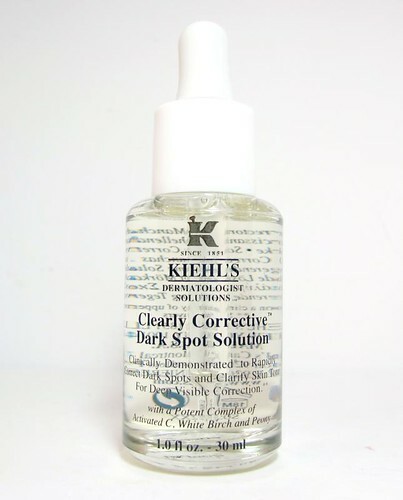 I highly recommend the Kiehl's Clearly Corrective Dark Spot Serum to anyone who needs something to help heal and fade their blemishes faster. I think it's the ideal product to sort of hasten the exit of old but already fading marks. It might just be the thing you need to shock your blemishes into surrendering once and for all! However if you have intense blemishes that won't seem to go away, I would still recommend seeing a dermatologist first to have that checked; she will be able to recommend a better treatment plan. The Clearly Corrective is still just a serum. It's potent and effective (for me), but it's not magic. 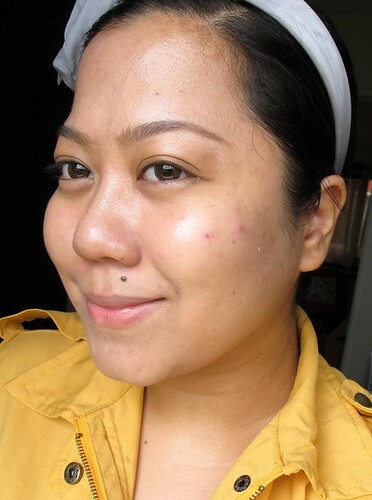 Please note that blemishes naturally fade completely on my skin no matter how severe they are, with or without serums. But that takes about two months or more if they're extra terrible. With the Kiehl's CC, I can get rid of blemishes (and I mean 100% gone) in one to one and a half months depending on how severe they are. I love it. Truly, deepy, do love it. Will I pick this over the Tsuya? Tough question. I honestly don't know. Both are great products that truly helped my skin recover from something like this. Oh, those were insane days. So, does this look like something you'd try? What's your main skin issue anyway? Follow Kiehl's Manila on Facebook for bits and bobs about the brand.